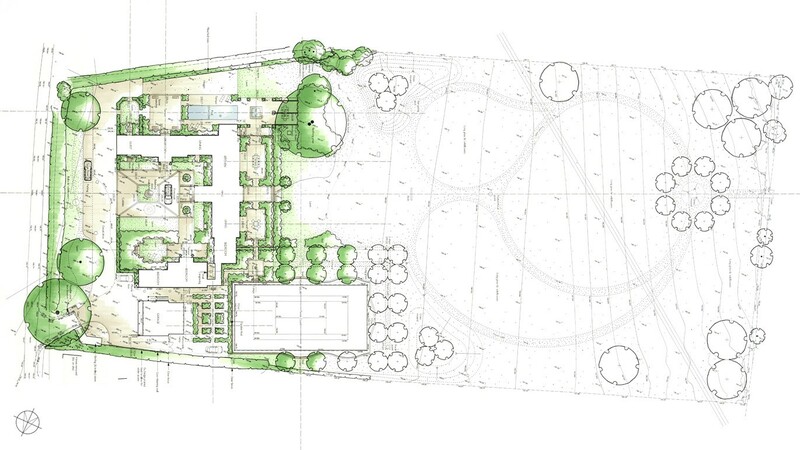 The masterplan and implementation for a large country garden in South Oxfordshire. The design includes new garden areas around the house, a swimming pool, outdoor kitchen, pergola and kitchen garden. The wider landscape consists of new tree planting and new walks through long grass and wildflower meadows.